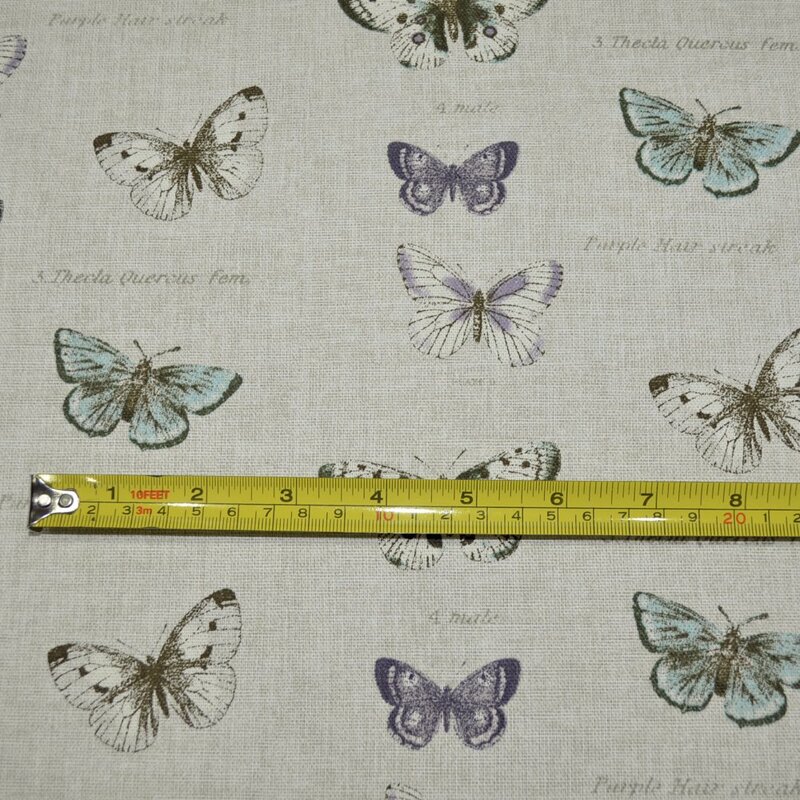 Order by the metre (price is per metre) - This item is also available in 0.5 metre increments - to order by the half metre please call us on 01827713519 or message us via the 'Ask A Question' button below. 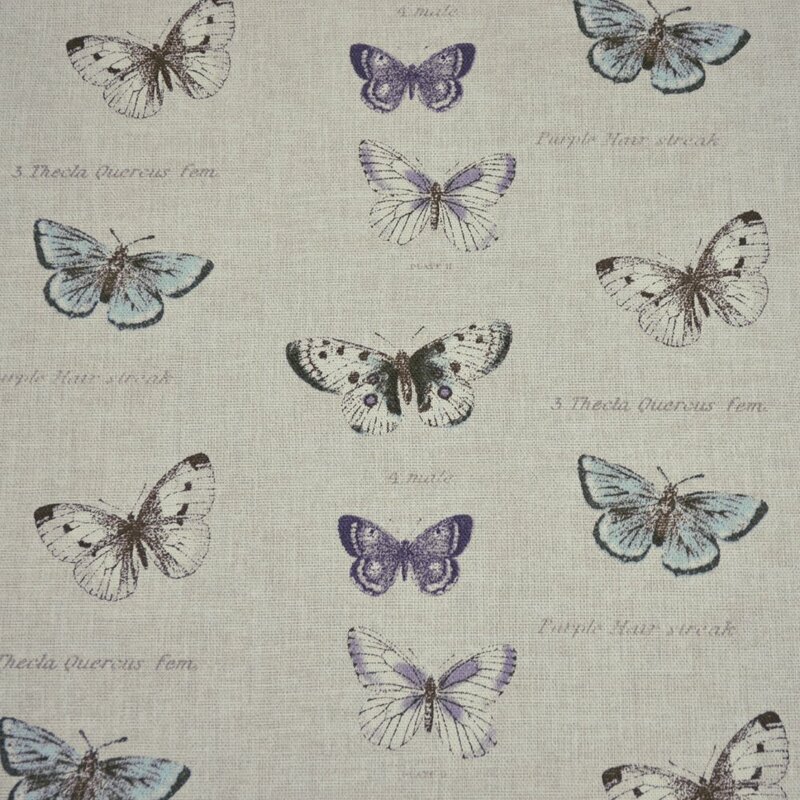 A fantastic design from Fryetts featuring a collection of vintage inspired butterflies and script in hues of Aqua, Aubergine, Kangaroo Taupe and neutral Linen. 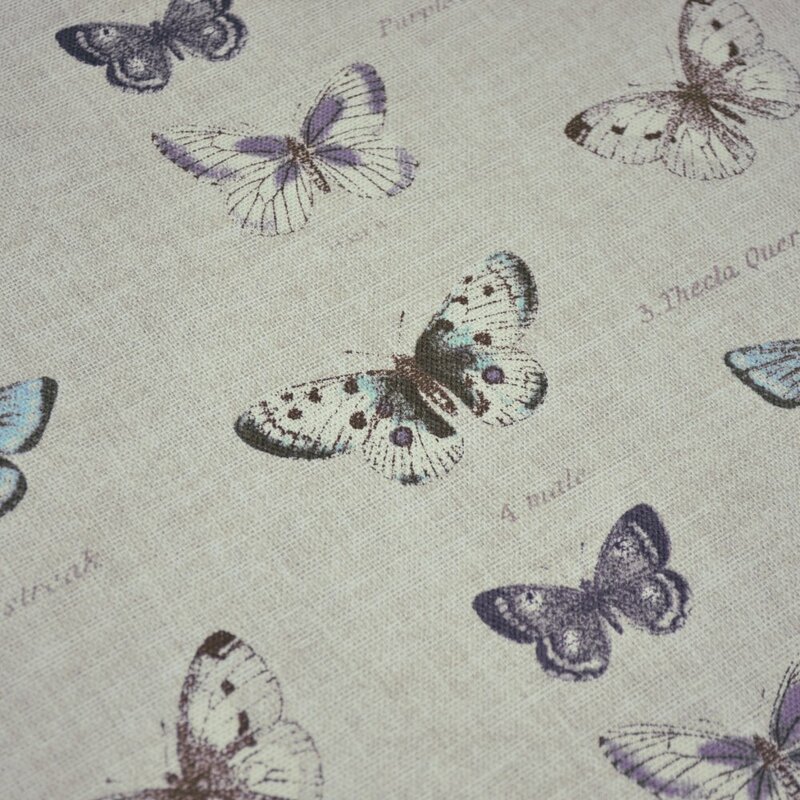 This design would provide a wonderful dose of character to any chair, ottoman, cushion, apron, blind or curtain.